If you’re a dairy farmer, you should be aware of the fact that the environment in which a cow lives and lactates directly influences the output of milk at the end. It makes it necessary for dairy farmers to take appropriate measures for ensuring that they grow and live in an ideal environment. Kapoor Oil Mills is counted among the best Cow Plastic Cubicles Manufacturers In India. Our offered cubicles will allow the cows enough space to stand and recline comfortably. They can be installed and removed easily without much effort. So, improve your cow barns by installing these plastic cubicles. The environment in which cows grow and lactate has a considerable influence not only over their well-being, but reproduction, productivity and quality of milk, as well. This being the reason, it is necessary for dairy farmers to take care of their cows by improving their cow barns with Cow Cubicles. These cubicles can be easily installed and removed, whenever required. The offered stalls will allow the livestock to rise, change position and recline without any discomfort. All the components such as brisket tubes, partitions and neck rails easily define the resting area of calves without hindering their movements. 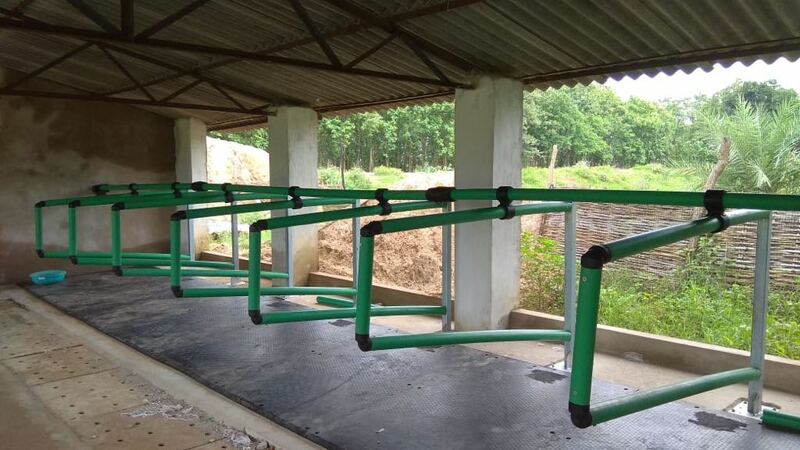 There are number of cubicle features that affect cow welfare. Ideally, a cubicle allows an animal to lie down & rest without colliding or rubbing against partitions. A cubicle housing system has a minimum of 1 cubicle per cow. A good practice guideline would be to provide at least 5% more cubicles than cows for example: a 100 cow group should have an access of 105 cubicles. We have established ourselves as one of the top-tier Cow Plastic Cubicle Exporters and Suppliers In India. We are also known for our excellent customer services. Just give us a call and we will suggest you the best product for you.